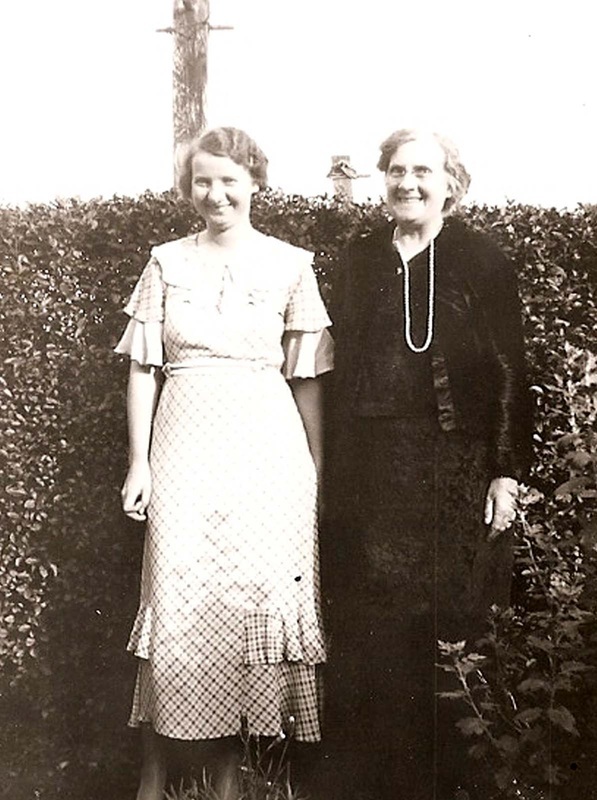 Alice Talbot was born in Nottingham on the 7th April 1875, to parents Alfred Talbot and Lucy Leah Huskinson. 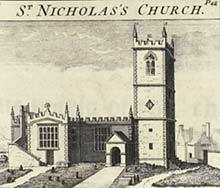 Her christening was on the 27 May 1875, at St Nicholas, Nottingham. Her parents are noted as living at 59 Mount Street, Nottingham. Alfred was employed as a warehouse man. Lucy Talbot who was born in 1860 at Canterbury, Kent, to Alfred Talbot and Alice Deacon. I believe Alice may have died in the 1860's, as by the 1871 census Alfred has returned to Nottingham, with Lucy, to live with his parents. Kate Robinson -Talbot was born in 1868 to Lucy Huskinson. At the time of the 1881 census, Alice lived with her parents and sister Kate at 14 Thorneywood Rise, Sneinton. Alfred was employed as a Fish Dealer. Her father Alfred died in 1888, age 56. Leaving Lucy to raise Kate and Alice. At the time of the 1891 Census Alice is living with her mother, and sister Kate at 16 St Leger Terrace, Mapperley, Nott'm. All three women are working; Lucy as a hosiery hand, Kate as a machinest, and Alice as a hosiery finisher. After his return to Nottingham, Walter was employed as a conductor, then an inspector on Trent Motor Traction buses. In 1937 he is listed in Kelly's trade director as being resident at 30 Olton Avenue, Lenton as a Bus Conductor. By 1941 he had moved to Baslow Drive, in Basford, Walter died in 1948. Alice spent the rest of her life in Nottingham, where she died in 1957, age 82. Alfred Talbot was born in the St Margaret's area of Leicester in 1832 to parents Joseph Talbot and Pheobe Lee. Alfred had a younger sister Lucy Talbot who was born about 1833, shortly after her birth, Joseph and Pheobe move to Gartree, Pickwell, Melton Mowbray. At the time of the 1841 census, the family were resident at Gartree, Pickwell, where Joseph (Alfred's father) was employed as a school master. 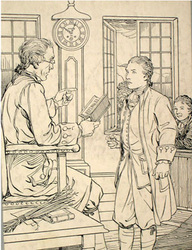 It is possible he had taken up employment at the National School in the village which was built in 1835 by subscription. 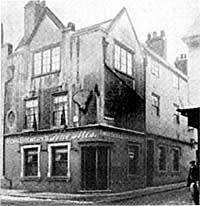 By 1851 Alfred had left the family home, and was living as a lodger in Sanvey Gate, Leicester, where the house owner was Job Spewer. Alfred had taken up employment as a Warehouse Man. Only a year later on Alfred married Alice Deacon in St Margaret’s Church, Leicester in 1852. It was another 8 years before their daughter Lucy Talbot was born in the winter of 1860 at Canterbury. 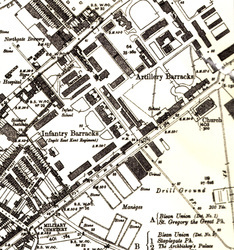 The 1861 Census shows Alfred as an Army Corporal, Cavalry, Artillery, Northgate Barracks in Canterbury, living with him is his wife Alice, and one year old daughter Lucy. The Royal Cavalry Barracks, on Margate-road, was a fine brick building, forming three sides of a square; built in 1794. The Old Infantry Barracks, for 2,000 men, also on the Margate Road, were built in 1798. 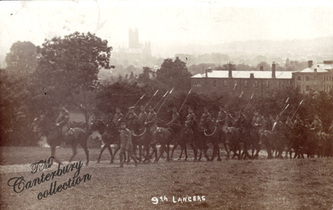 They form a station for the horse and foot officers, 1,841 non-commissioned officers and privates, and 481 horses. I believe Alice may have died in the 1860's, as by the 1871 census Alfred (a widower) has returned to Nottingham, with his daughter Lucy, to live with his parent (Joseph and Pheobe). Alfred is living at Waverley Place, Nottingham, and is working as a Hosiery Warehouse Man. On 29 October 1871, Alfred Talbot (38) widower, a warehouseman of Park Street, Nottingham (his father is Joseph Talbot) married Lucy Leah Huskinson (age 31) of Castlegate, Nottingham (her father is Henry Huskinson, Lace Maker) on 29 Oct 1871 at St Nicholas, Nottingham. 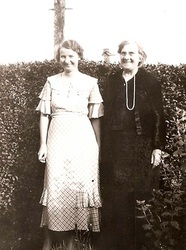 Lucy already had a daughter Kate, born in 1868 in Nottingham. After the marriage of Lucy and Alfred, Kate took on the name “Kate Robinson Talbot”. In 1875, Alfred and Lucy have a daughter, Alice Talbot. At the time of her birth, the family are living at 59 Mount Street, Nottingham. By 1881, Alfred and his family had moved again. He was now resident at 14 Thorneywood Drive, Sneinton, Nottingham. He had also changed occupation, and was working as a Fish Dealer. His daughter Lucy from his 1st marriage to Alice Deacon was no longer living with him in 1881, but was living as a lodger in Leicester at 17 Crane Street. Lucy worked as a machinest. Lucy stayed in Leicester, where the last trace I have of her is in 1891, at 6 York Square, Leicester. Alfred died in 1888, age 56, in Nottingham, leaving behind his wife Lucy age 49, her daughter Kate age 20, and their daughter Alice age 13. Joseph Talbot was possibly born to Thomas and Mary Talbot (possibly nee Mackeny) on 5 April 1809 at Leicester. The christening took place on 27 April at St Margarets, I believe Joseph had older siblings Mary, Thomas, James and Samuel. Joseph married Pheobe Lee at St Margarets in Leicester on the 15th June 1831. St Margaret's served a huge industrial parish in the nineteenth century, with thousands of poor homes. 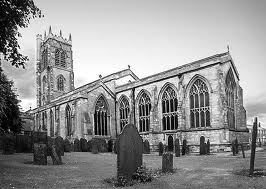 Because it lay outside the city walls, the church was the driving force in local government, organising street paving and lighting, schools, work and housing for the destitute, and many other social needs. Their son Alfred was born in 1832, and daughter Lucy a year later in 1833. At the time of the 1841 census, the family were resident at Gartree, Pickwell, where Joseph was employed as a school master. It is possible he had taken up employment at the National School in the village, which was built in 1835 by subscription. 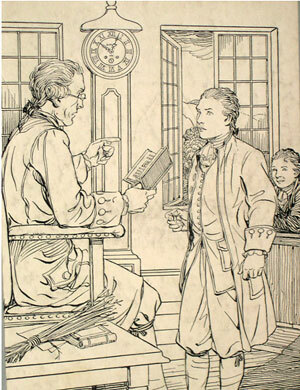 In 1833, the government awarded grants of money to schools. At the start, not everyone who ran the schools were able to read themselves, so the standard of education was not very good. By 1851 Joseph had returned to Leicester, living at 43 Milton St, along with his wife Pheobe, and daughter Lucy. Joseph worked as a warehouseman, and both Lucy and Pheobe worked as hosiery menders. Their son Alfred had left the family home, and was living as a lodger in Sanvey Gate, Leicester, where the house owner was Job Spewer. Alfred had taken up employment as a Warehouse Man. "One area,the part of St. Margaret's parish lying between the Soar, Sanvey Gate, Churchgate,Archdeacon Lane, Belgrave Gate, and the Willow Brook, was liable to be flooded fromthree sources: the Soar, the Grand Union Canal, and the Willow Brook. 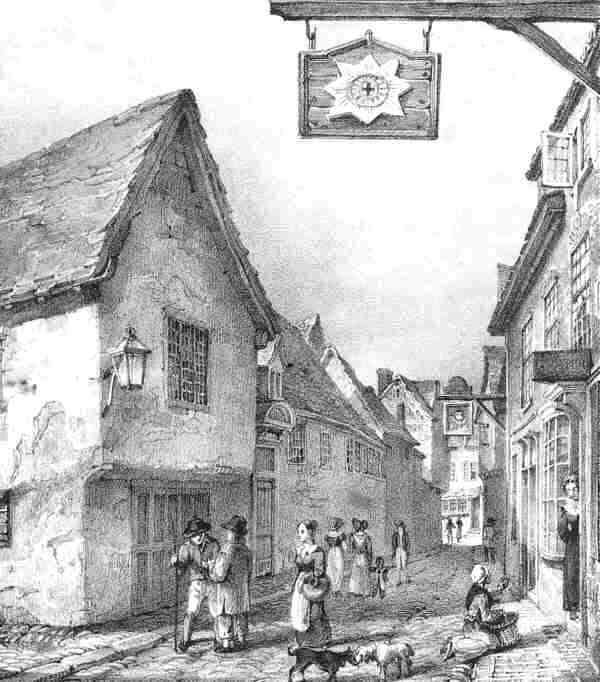 These floodsnot only caused great inconvenience by inundating streets and houses sometimes to adepth of 2 or 3 feet, forcing their way through the drains, they brought up sewageand, on receding, left behind them a deposit of insanitary mud. The more southerlyparts of St. Margaret's parish were outside the region of flooding but suffered fromanother disadvantage. Over much of the district, the ground had been excavated to produce clay and the resulting pits had been filled in with rubbish on which buildings hadbeen erected before the filling had decayed and settled. In consequence the central part of St. Margaret's parish, between the Belgrave and Humberstone roads, was perhapsthe most unhealthy part of the town. " Date accessed: 15 May 2013. By the time of the 1861 Census, Joseph and Pheobe had moved to Nottingham, living at Elder Yard. Joseph worked as a warehouseman, and Pheobe was a shirtmaker. I believe their daughter in law, Alice may have died in the 1860's, as by the 1871 census Alfred their son, (a widower) had returned to Nottingham, with his daughter Lucy, to live with them. They all lived at Waverley Place, Nottingham. Both father and son worked in a Hosiery Warehouse as warehousemen. 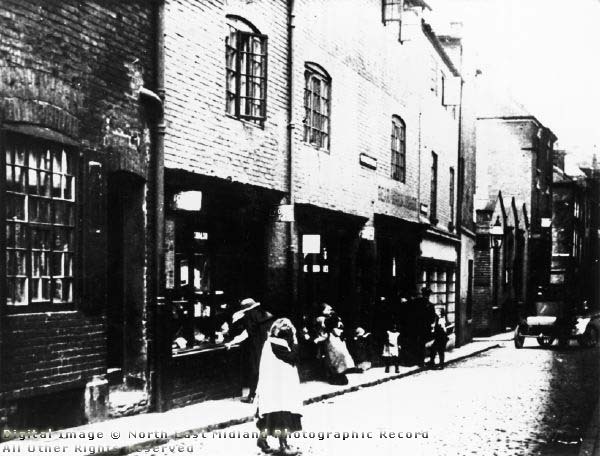 In 1881 Joseph and Pheobe had moved to 1 Thurmans Yard, Castle Gate, Nottingham, both worked in the hosiery trade. From about 1810 the hosiery industry had run into trouble, and a long-term fall in demand was partly a result of changes in fashion as men began to prefer trousers to stockings. Hosiery had slipped into a deep depression which lasted until the middle of the century, before the introduction of mechanisation saw an increase in the 1870s. Joseph's wife Pheobe died in 1882, age 71, his son Alfred died in 1888, age 56. Joseph died in 1891 in Nottingham, aged 81.